It appears Research In Motion’s new Blackberry OS 10 is leaving behind a feature that has been instrumental to the company’s success. The BlackBerry Internet Service (BIS) is designed to provide BlackBerry smartphone users with access to email messaging, instant messaging, Internet browsing, and more. 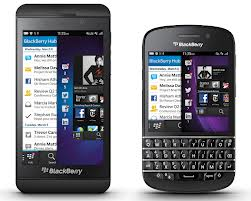 BlackBerry Internet Service subscribers can receive automatic delivery of email messages from up to ten email accounts on their BlackBerry smartphones. BIS is the feature that is most known for the automatic push and instant delivery of email to the hand held device. -Yes you can use any smartphone data plan for the Z10 and Q10, since it no longer offers the BIS feature it does not need access to the special Blackberry Data Service network. -Yes, a dedicated BlackBerry plan will still work. -No your SIM Card from your old Blackberry will not work in the Z10 and Q10 models going forward.